JOAN PINILLOS followed studies on Philosophy and Social Education at University of Valencia and on Theatre at La Escuela del Actor in the same city. He graduated in Contemporary Dance from the dance studio María Carbonell and then obtained his specialisation in Choreography from the Arts Conservatory in Valencia. Before setting up his own project, he worked as a dancer in several companies and institutions: Cienfuegos Danza, La Fura dels Baus, Palau de les Arts Reina Sofía, Teatres de la Generalitat Valenciana… He has also danced with many choreographers, such as Peter Jasko, Anton Lacky, Laly Ayguade, Mónica Cervantes, Sonia Rodriguez, Lorenza di Callogero and Toni Aparisi, among others. In 2008, and together with Xandy Liberato, he creates Mou Dansa. The company has been awarded in several both national and international contests: winner in the Certamen Coreográfico de Sevilla, including the best dancer award for Miguel Tornero; Best Interpretation Award in the Certamen Internacional Burgos-Nueva York; and also the Best Female Dancer award, for Mónica Cervantes at the International Contest Masdansa in the Canary Islands. In 2012 his first piece as a scenic designer is born; Bucle, aproximació a una parella ("Loop, approach to a couple") is selected for the Festival Dança en Foco, in Brazil, and for the Black Box Festival, in Bulgaria. In 2015, he creates, together with Jessica Martín, Poble Nou, but also Aproximacions a Poble Nou ("Approach to Poble Nou"), selected at Danza a Escena 2016 and which consists of an adaptation of the original one to be performed in non-conventional spaces. He is both creator and arts director of Festival Circuito Bucles – festival de danza en espacios no convencionales, as well as creator and driver of Festival Let Me In (Berlin, Germany) and director of ENS MOU Summer Dance Workshop, a Summer school that has hosted popular figures as Anton Lacky, Peter Jasko, Laly Ayguade and David Zambrano, among others. 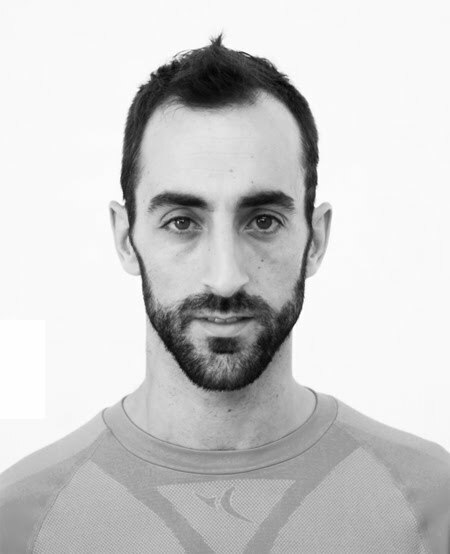 At present, he combines his work as creator and performer with his teaching position at the Professional Dance Conservatory José Antonio Ruiz in Albacete (Spain), but also delivering workshops at several both Spanish and foreign institutions. His concept, both for creating and for teaching, is the so called eclectic dance, "a sort of dance that does not believe in the dilemma dance-theatre, that tries to make different styles possible and seeks for integration rather than separation; the dance which is concerned about each one’s particularities; the dance which focuses on researching and learning on the frontiers of different languages, which borrows the most interesting aspects from each one. It is a kind of dance that is constantly learning, growing, always being able to evolve and contradict itself, never trusting the absolute truths. The dance that seeks communication through movement; control by means of different techniques; expression throughout creativity."